If you have invested in Enterprise Investment Schemes (EIS) in the past or plan to do so by the end of 2015, you should be aware of new rules that HMRC (Her Majesty’s Revenue & Customs) have introduced to this program. HMRC have introduced new rules to assure that companies claiming EIS certification are eligible under the program with increased reporting requirements. However not all is negative and there are some positive changes to the EIS as well. Be sure your portfolio is in line with these important changes for this year. Most companies that want to participate in an EIS program do so because they can attract a greater number of investors because of the great tax relief it offers. However, most investors and professional advisors hold off investing in these potential EIS companies until they are in fact ‘assured’ to be qualified to receive EIS qualifying tax reliefs. HMRC is introducing new requirements for companies who wish to issue shares under the EIS regime. Single companies are required to submit the original trade start date of the company as well as the total risk finance investments they have received. Parent companies need to provide HMRC with start dates for the parent and child companies and all investor funds received no matter at which point the child company joined the parent company. This is because there is now a 7 year old age limit on companies to be included as part of the EIS advance assurance program applications or for companies that have received more than £12 million in State Aid Financing (£20m for knowledge Based Companies). 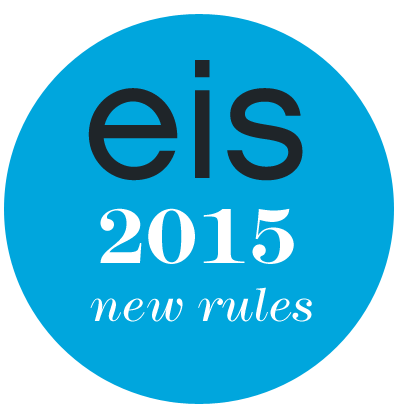 There are also changes to companies that need to submit the EIS1 compliance statements on or after April 6th, 2015. The information requirements are the same as listed above for advance assurances. However in both instances there is an exception to the 7 year age limit on companies. As long as the company had not previously received risk finance investments and meets a 50% turnover condition, the company will be eligible for an Advance Assurance. This 7 year age limit on companies can be overlooked if there is a fundamental change in the trading activities of the business, but this must be made known to HMRC in advance in order to receive Advance Assurance. For knowledge intensive companies the age limit of the company is limited to 10 years. Employee maximum cap rates for knowledge intensive companies were also raised to 499 employees from 249. This new 7 (or 10) year age limit on companies does not include companies that have previously issued shares under an EIS program, allowing older companies to still take part in the EIS program if they were previously involved. Also within these changes were changes made to shareholders ability to claim tax relief on EIS shares. This is especially important for relative new investors to the EIS arena. If you invested into a company outside of the EIS and then invested again under the EIS in order to get a tax relief, the new rules going forward exclude your shares form the EIS tax relief incentives. Under the new 2015 rules, there are a number of further trading activities that are excluded from participating in the EIS program. Previously excluded activities included, property development, coal and steel production, many financial activities, hotel and nursing home management and operation, and farming and market gardening. However, subsidised generation of electricity including contracts for difference and renewable energy source generation such as hydroelectric or anaerobic sources are considered now ineligible for the EIS tax relief program. If you are investing in EIS programs or plan to in 2015, 2016 or beyond, you need to be aware of the market and legislative changes of these programs on an annual basis. Ensuring your investments still qualify for tax relief is the utmost important task of a professional advisor on these schemes.